Rest Day 8/22/13: What’s your favorite mobility move for Rowing? – Get Loose! 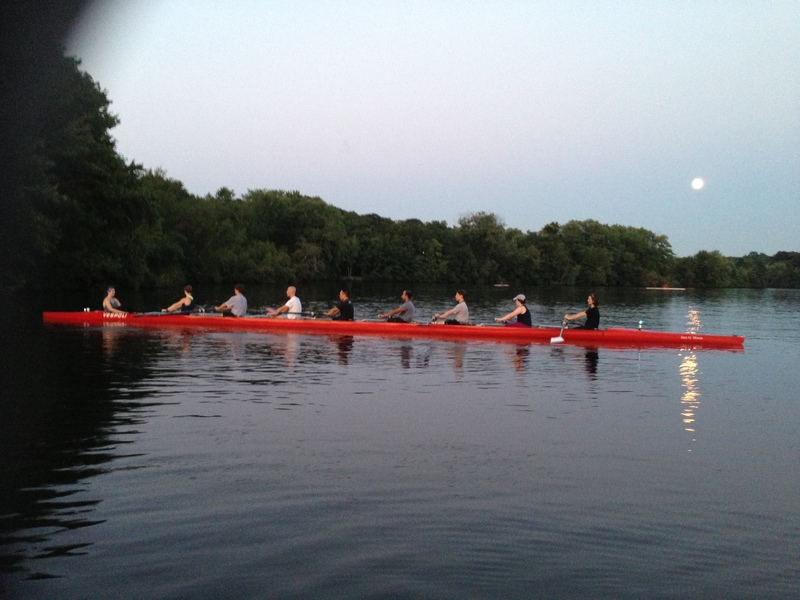 The Renegade Rowing Team drilling by Moonlight! What’s your favorite mobility move for Rowing? Get Loose and Enjoy 15 minutes of Hamstring and Hip Mobility. Over the past week we’ve hit it pretty hard with intensity and higher volume. Our ability to sit up and maintain a solid core through the stroke has a lot to do with our hamstring flexibility and the work we do on off days to promote recovery and rebuilding of the muscle fibers we tear. Use today as an opportunity to stretch out and rebuild those hamstrings, increase your flexibility, and eat some good quality food. Share your favorite mobility move, where you’re feeling it today, and how you mobilized! This entry was posted in Mobility, Our Mission, Rowing and tagged balance life, functional movements, health, rowing, sports, training, yoga by Renegade Rowing. Bookmark the permalink. Awesome Graham! That’s a great stretch. It can be done with a jump stretch band tied to the pull up bar as well. Keep up the mobility and focus on a solid brace through your torso when you go to push the legs at the catch. Thanks for sharing!